A researcher in the University of Pretoria’s Veterinary Science faculty has validated the use of a blood-testing device originally used on cats and dogs to boost the survival rate of rhinos injured in poaching attempts. The consequences of rhinoceros poaching in South Africa stretch far beyond the more than 4000 rhinos killed since 2013. Injured animals that survive poaching attacks, as well as calves orphaned by poaching, worsen this reality: many succumb to the wounds inflicted on them. Often a blood test is required to determine the most appropriate treatment to administer and help the wound healing process. But this has proven difficult to do in the bush – until now. “I wanted to see if a small machine that vets use on cats and dogs in their practices could be used on rhinos out in the field,” says Dr Emma Hooijberg of the University of Pretoria’s Department of Companion Animal Clinical Studies in the Faculty of Veterinary Science. Saving the Survivors, a team of wildlife veterinarians, has reported treating more than 200 maimed animals since 2014. And between 2014 and 2016, SANParks veterinarians treated 54 wounded rhinos, 31 of which succumbed to their injuries and had to be euthanised. However, vets have not been able to perform blood tests out in the field because they’re typically done in a laboratory. Dr Hooijberg wanted to change this by taking the lab into the field, where vets could perform these tests immediately with a small, portable device usually used on pets at animal clinics. To her delight, the machine worked on rhino blood, and could function under challenging outdoor conditions, such as heat and bumpy roads. Another advantage is that the results are ready in 10 minutes. “From these results, the vet will be able to see the rhino’s liver and kidney function, its protein and hydration levels, as well as some mineral levels,” Dr Hooijberg explains. This means the type of treatment required becomes more focused and accurate, thus improving the chance of survival and optimum health of the rhino. While the machine is able to fast-track results, vets have nothing to compare them with. “You know if a result is really abnormal only if you have normal values of healthy animals to compare them with,” Dr Hooijberg says. These normal values, or reference intervals, exist for humans, dogs and cats, but not for rhinos. So Dr Hooijberg took up the task of establishing reference intervals for rhinos, for the machine in the field as well as for another device used in the lab. These reference intervals now provide vets with a benchmark for the injured rhinos they’re treating. Dr Hooijberg expects that incorporating relevant protein supplementation into treatment plans could help the wound healing process. 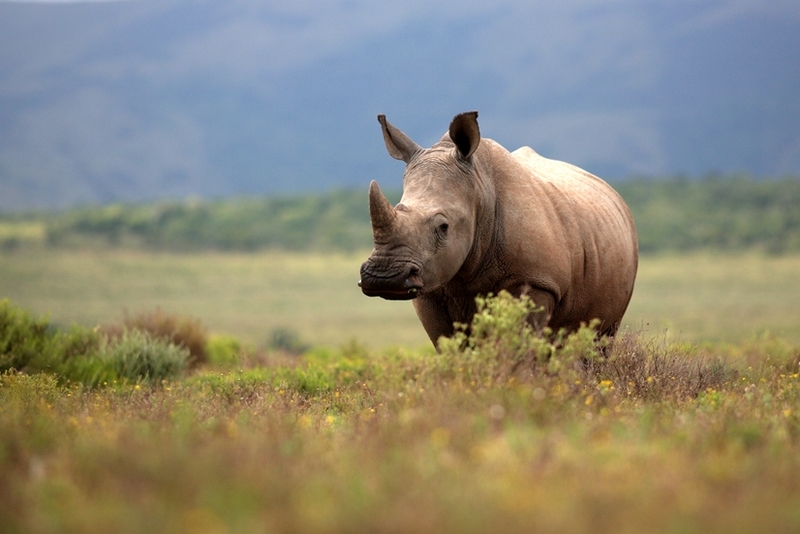 At a time when poaching levels remain of international concern, research that aims to safeguard and ensure the survival of remaining rhinos, such as that conducted by Dr Hooijberg, becomes all the more valuable.